Chief Corporate Management Officer at “Touch,” is one of the most charismatic and high achieving businesswomen in the telecom sector. Rula was awarded ICT Woman of the Year for the MENA in 2007 and received the Best Customer Service award in MENA in 2016. 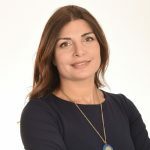 Rula has assumed several executive key positions at touch starting as CTO from 2004 to 2013 in addition to being the CCO and the most recent being the CCMO. Abu Daher is a graduate of AUB with a BE in ECE. She is a holder of several international certificates; the most recent one Financial Strategies certificate from London Business School in 2016. Shareholder and strategy manager at Technica International, a family-owned business. 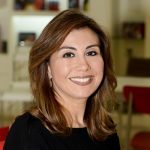 She is also a Board member of the Lebanese League for Woman in Business (LLWB) and has a BA in Advertising and Marketing from NDU, and an executive MBA from INSEAD. 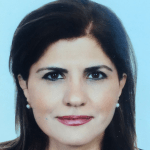 Rouda Al Amir Ali is a programme Officer at the ITU Arab Regional Office, which focuses on promoting the equitable and sustainable development of ICT networks and services for the Arab countries. She is the focal point of the ITU cybersecurity initiative and all its related activities in the region including the ITU Child Online Protection (COP) Initiative and women’s empowerment. She is also carrying out studies and projects in the area of ICT Development in the region. Rouda has 20 years of experience in Communications and Information Technology. Throughout her career, she held several positions, either technical or managerial in the Syrian Telecommunications Establishment and she had participated in the development of the Syrian backbone from the first early days with a successful record of accomplishment and achievements. The past nine years are spent in working with the International Organizations, mainly the United Nations. Before joining ITU, she worked for the UN-ESCWA as an ICT Officer and drafted the publication on Internet Governance: Challenges & Opportunities in the Arab region. She possesses a Bachelor in Electrical engineering from Damascus University. Ebrahim Al Haddad comes with experience in the telecom field that stretches over 25 years in the international arena as well as the private sector. In 2002, Ebrahim joined the ITU and spent six and a half years between the headquarters in Geneva and the regional office in Cairo where he was the regional director. In July 2008, Ebrahim joined a telecom consultancy group that provided consultancy services to governments, regulators and private sector entities in the Arab region. He rejoined the ITU as the regional director of the Arab office in October 2011. 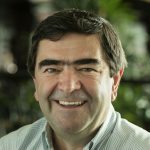 Ebrahim holds a Master’s degree in Information Analysis and Management from Bond University in Australia. Ph.D. in engineering. She is currently a postdoctoral researcher at Synchromedia lab, École Technologie Supérieure (ÉTS), Montreal. 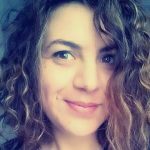 At the same time, she is scientist project manager in Interdisciplinary research center on sustainable development operationalization (CIRODD). Besides, she is the CEO and Co-founder of NYX-R, a start-up that offers a cognitive and eco-sensing IOT platform. 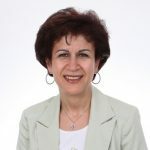 She has a high multidisciplinary academic and industrial career, in Canada, France, and Tunisia in the areas of software engineering, mobile computing, ERP system management, art, entrepreneurship, and social leadership. She has published papers in national and international conferences and journals. Tech blogger and Speaker, she has been invited to many public events as an expert in AI, AmI, green ITC, smart-cities, etc. Additionally, she is involved in many other projects as a creator, researcher, and expert; such as U4SSC initiative, the open sky living lab for smart life in Montréal, etc. Dr. Muntaha Banihani is the Dean of Talal Abu-Ghazalah University College for Innovation. She completed her Ph.D. degree from the University of Kent (UK), Master’s degree from Mutah University, and her Bachelor’s degree from the University of Iowa (USA). In less than five years after completing her Ph.D., she was able to publish research in several high ranked journals, become the head of a major department, and eventually become a dean of a university college. She also secured two research grants with a total value of $86,000 and was the first to introduce a “Diversity Management” course into the curriculum of an MBA program in Jordan. Mirna is currently Programme Management Officer in the Information and Communication Technology Policies Section at ESCWA Division, where she is supervising and undertaking analytical research and carrying out systematic studies in the areas of ICT for development, Internet governance, Digital Economy, Smart societies and governments and other subjects related to emergent technologies and particularly their contribution to building a knowledge-based economy In the Arab region. Since 2013, Dr. Barbar has been appointed to lead the ESCWA Academy of ICT Essentials for Government Leaders in the Arab Region. She has also contributed to the launch of the Arab Internet Governance Forum in 2012, and served as Vice-Chair of the Organizational Committee and the Chief Operating Officer of the Forum in 2014 and is currently coordinating the activities of the Internet Governance Team at ESCWA. Previously she worked as an advisor to the minister and expert in the Ministry of Social Affairs. 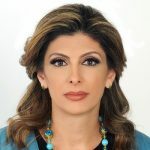 She has also lectured at the Lebanese University for more than ten years and holds a Ph.D. in Computer Science from the University of Paris -8 and a master’s degree in Business Administration. 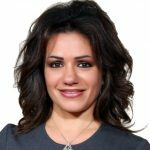 Zeina Bou Harb is currently Head of International Cooperation at Ogero Telecom. Experienced Commercial specialist with a demonstrated history of working in the Telecommunications industry. Skilled in Negotiation, Sales, Internet Governance, Management, and Account Management. Zeina organized the 1st Lebanese Lebanese Pavilion at MWC in Barcelona and the Lebanese Open Forum at IGF 2017 in Geneva. She is Member of the UN and Arab Multistakeholder Advisory Group on Internet Governance and Member of the Technical Cooperation Working Group nominated by the League of Arab States and ESCWA, to work on the enhancement of the Arab IGF, also member of the National Committee for Children Online Safety, Lebanese MAG and head of Lebanese IGF Secretariat. Abir Chebaro was appointed as Special Advisor to Prime Minister Saad Hariri for Women’s Affairs, and that for the first time in Lebanon in January 2017. She was selected as Vice President of the National Commission for Lebanese Women in May 2017. She also holds the post of Advisor to the Minister of State for Women’s Affairs. She is a member of several political missions and committees. She is a member of the OECD Competitiveness Platform for Women Economic Empowerment. She is on the advisory board of the project ‘Strengthening the Contribution of Women to the Economy on a regional level” conducted by the Olayan Business School- AUB. She holds a Master’s Degree in Public Health from AUB with an Excellent mention. She has been a feminist activist and member of feminist NGOs for over 12 years. She has participated as speaker and participant in several national and international workshops and training courses on the political, social and economic empowerment of women. Throughout her work with the government, she led many task forces mainly, the development of the “National Gender Equality Strategy” adopted by the Ministry of Women’s Affairs. 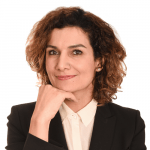 A McGill Ph.D. graduate, Hoda is an Assistant Professor in Data Science and Business Analytics at the Olayan School of Business, AUB. She is a Woman in Data Science (WiDS) Ambassador, and her current research focuses on social media analytics and ethics in Artificial Intelligence. Before joining OSB, Hoda worked for four years as a data scientist in a corporate R&D setting in Montreal, Canada. Member of the Presidential currently holds the position of National Director for the ICT Trust Fund Division, a division jointly established between the Ministry of Communications and Information Technology (MCIT) in Egypt and the UNDP, she is also Provisional Head of The Community Development Division at MCIT, and a member of many specialized boards for rural development. Eng. Dahroug has successfully attracted foreign investment and pushed for national collaborations, to implement many developmental initiatives in areas such as education, health, women empowerment, youth employment, entrepreneurship, people with disabilities, and the development of remote area&#39;s such as SIWA oasis and Nuba. Read Raul’s full biography here. CEO of «Sanabil Med,» International consultant in Business Development and President of « Femmes & Leadership » Association. Our mission is to create and shape educational and cultural content in an inclusive approach by enslaving new technologies to the service of knowledge. Also, she launched several other private projects like the Finland Leaders School based on Finnish education. Strengthening the private sector capacities and ensuring its international development is the primary field of consultancy she is operating in especially within the word bank programs. 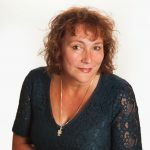 She has always worked dynamically within civil society to advocate for issues related to gender, the development of sport as a vehicle for peace, Road safety, popularization and the democratization of ICTs, education for all and to establish a social and solidarity-based economy as a vehicle for sustainable development. Deeply convinced that no human development is possible without the involvement of women and the acquisition of knowledge, she actively works for an inclusive and progressive Tunisia 2.0. 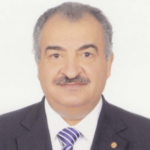 Dr. Nibal Idlebi is the chief of Innovation Section at ESCWA and a senior expert in ICT for development. Ms. Idlebi leads regional projects and activities on Innovation and Technology for sustainable social and economic development and digital government transformation. She has extensive expertise in innovation policies, knowledge society, cyber legislation, and cyber safety, digital Arabic content and e-government and open government. Aline Karam is a communication industry leader and strategist, with over 20 years of international experience in strategic communication planning, public relations consultancy and advisory, in addition to sustainability programs development across various industries including telecoms and automotive sectors in Lebanon, Europe, and Asia. Beside her industry roles, Aline has established the first comprehensive Corporate Social Responsibility Award-winning Program in Lebanon Alfa 4-Life and is an advocate of children, human and women’s rights. A graduate of Sacre-Coeur College, Beirut, Lebanon with a Bachelor of Science degree in Computer Sciences, and holds an MBA degree from Ecole Superieure des Affairs affiliated with ESCP-EAP France. 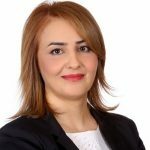 Ms. Karam is now the Owner / Managing partner at Don Telecom SAL-Offshore, a company specialized in assisting clients in matters of Telecom and IT. Contributed as an angel investor for two years in a row 2017 &2018 with Seeders (part of IM Capital). Graduated in topics covering Pipeline sourcing, Portfolio Investment Strategy, Due Diligence, Valuation, Financials, Legal documentation, managing deals, followups on rounds, and exits as well as being part of the “Confideo” mentoring team giving hands-on practical advice &amp; set specific milestones/KPIs for startup companies. Rasha Manna’s 20-year portfolio career spanned varied industries including audit with EY, M&A at Hikma Pharma and investment banking at Amwal Invest and JordInvest. 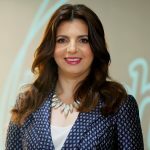 In 2012 Rasha transitioned to entrepreneurship ecosystem development as Managing Director of Endeavor Jordan. Most recently, Rasha took on the role of Growth Advisor for Luminus Education focusing on scaling the business and impact. Rasha holds an undergraduate degree from the LSE and an EMBA from the AUB. 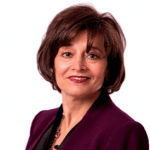 Samia Melhem is the Global Lead for the Digital Development Community of Practice. Her operational responsibilities include investment operations in digital platforms & services as well as thought leadership on digital development. She is leading unit’s Digital government analytical work program. 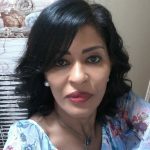 She has led/contributed to digital government transformational projects in Rwanda, Egypt, Philippines, Vietnam, Tunisia, Burkina Faso, Kenya, Morocco, Guinea, Cote d’Ivoire – leveraging disruptive technologies to improve delivery of public services; such as education, health, and social protection. She is currently focusing on the digital economy, smart cities, innovation, entrepreneurship and with a focus on gender and youth inclusion. In her previous assignments, Samia worked in several regions such as East and Central Europe, East Asia, Middle East, and Africa. She coordinated Africa and the Middle East digital development portfolio under the Sustainable Development Vice Presidency. She led the production of knowledge toolkits on Digital government readiness assessments, electronic procurement, cloud computing, entrepreneurship & innovation, Telecoms Policy, Private Public Partnerships, Public-Private partnership business models, and gender inclusion in STEM. She holds degrees in Electrical Engineering (BS), Computer Sciences (MS), and Finance (MBA). Monique is President and Co-Founder of the Humanized Internet, a non-profit organization focused on providing a digital identity for those individuals most underserved, and most importantly the need to control our characters. Monique believes in the social good for technology with embedded ethics where one can respond to cognitive bias. Monique’s focus in blockchain has been specific to education and credentialing, in addition to blockchain’s applicability in other industries, for example, healthcare Internet of Things and insurance. She has been active in the Bitcoin – Blockchain and Ethereum [Smart contracting] constructive discussions including the application of security-privacy. i.e., SHA-256 vs. SHA-3 mechanisms and the use of secure multi-party computation [sMPC]. It is this intersectionality between blockchain technology, security-privacy, legal jurisdiction and portfolio development that has been Monique’s blockchain focus. She holds several industry advisory positions and most recently Venture Partner Sparklabs Accelerator for Cybersecurity and Blockchain, Wash D.C.
She serves on procivis.ch and Vetri Global Advisory Boards based in Switzerland also as Senior Advisor to Hycon based in Seoul, South Korea. These organizations are very active in the blockchain community. 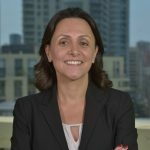 Recognized as one of the most influential technology leaders worldwide, Monique has earned honors that include Top 100 CIOs for 2016 (CIO.com), Top Women in Cloud Innovations Award 2016 (CloudNow), Social Media Presence of the Year 2016 (AI Magazine), 10 Women in Networking/Communications You Should Know, Top 10 Influential IT Women in Europe (Think Progress), 2015 Women of M2M/IoT (Connected World Magazine), and 2014 GEM-TECH Award (ITU and UN). 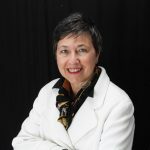 She is a tireless advocate for women in technology and engineering, serving on multiple non-profit boards, publishing Internet of Women, Accelerating Culture Change in 2016 and facilitating the launch of the Women in Standardization Expert Group for ITU. 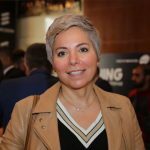 Monique was recognized in June 2017 as one of the top 50 EMEA Influencers in Data Center and cloud. Monique is currently a member of a cross-organizational MIT Solve 2018 winning team in the health area targeted for closing the global caregiver gap. She has been recognized with numerous industry awards, most recently as Switzerland’s Top 100 Digital Shapers for 2018. Monique is in the process of co-writing a book entitled The Humanized Internet to be published in 2019. Monique possesses an MBA from City University of Seattle (Zurich, Switzerland Program), an MS in Telecommunications Management from Golden Gate University, and a BA in French from San Jose State University. She earned a Graduate Certificate in Information Systems from the University of Southern California and a Diploma of Higher Studies from the University of Paris- Sorbonne. 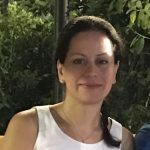 Monique is currently completing MSc Digital Currency at the University of Nicosia. Associate Professor in Operations Management at the Olayan School of Business at the American University of Beirut. She is the founder and co-chair of the Women in Data Science at AUB conference, organized by AUB in 2017, 2018, and for the coming 2019. She is also the founding chair of the committee on the careers and lives of women at AUB. Recently, she is part of an AUB team that was awarded $1.5 million grant to look into the status of Arab women in the formal sector in the MENA region. Her research focuses on applications of Operations Research and Management Science in the areas of revenue management, inventory, and supply chain management, and was published in high ranking international journals. Eng. Suha Osman is the head of women &technology unit at the Arab women organization (AWO). Eng. Suha is leading work on “engendering mobile applications” that provide social and economic empowering content for Arab women. She has extensive experience on “Challenges facing Arab women in e-commerce. In line with the SDGs commitment:’ Not leaving anyone behind”, She established a capacity building ICTs training workshop programs for women in rural areas. 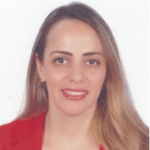 She has worked in AWO since 2003 and was an active member of the Arab working group preparing for the WSIS. Before joining AWO, she had worked in the League of Arab States. As a young engineer then her work focused co-developing and managing the design and content of the official website and Arab summit website. Eng. Suha has an engineering Degree from Reading University-UK and an MBA in financial management from Maastricht University –Holland. She also is a Microsoft certified web developer. Oliver is Senior Insights Manager in the Connected Women team at the GSMA. He is responsible for leading on Connected Women’s annual Mobile Gender Gap report, as well as working across Connected Women’s research portfolio to generate learnings on how the mobile industry can close the gender gap in the use of mobile internet and mobile money. Oliver works closely with Connected Women’s mobile operator partners across Asia and Africa, providing advisory support in their work to address the mobile gender gap. 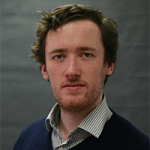 Previously Oliver worked as a technology analyst in the GSMA Intelligence team and at Futuresource Consulting. He holds a BA in Philosophy, Politics, and Economics from the University of Oxford. Haneen Sayed is a Lead Specialist at the World Bank working on human and social development in the Middle East and North Africa region. Over the past five years, Haneen has managed the World Bank response to the impact of the Syrian crisis on the neighboring countries. Before joining the World Bank MENA region in 2003, she was the Country Manager for Korea and Myanmar in the East Asia and Pacific Region of the World Bank. She also served on the Executive Board of Directors of the World Bank as Senior Advisor to the Executive Director representing the countries of the Middle East. Before joining the Board of Directors, she worked on Indonesia, Pakistan, and countries of the Caribbean. Haneen joined the World Bank in 1992 from Stanford and Columbia Universities where she earned her M.A. and M.Phil degrees in economics. She has taught at various universities in New York City, as well as worked at Morgan Stanley, the Kuwait Institute for Scientific Research, and the Arab Fund for Economic and Social Development. 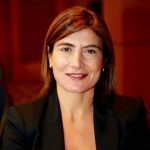 Leila Serhan is currently the Regional Director for Public Sector for Microsoft Corporation in the Gulf Region covering UAE, Kuwait, Oman, and Bahrain. 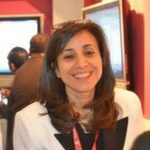 Before that, her experience spanned across Emerging Markets in the MENA region, leading global sales, marketing and services for more than 16 years with Microsoft, focused on developing the company’s in-country presence and strategy in countries like Morocco, Algeria, Tunisia, Libya, Lebanon, Jordan, Pakistan. Before joining Microsoft, Leila held different positions with one of the leading telecom operators in Lebanon. 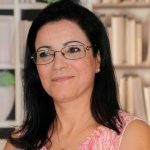 In October 2016, she became the President of the Women in IT association in Lebanon. She is a speaker in many forums and conferences, primarily focused on Women empowerment, Diversity and Inclusion, and Women in STEM. Leila holds a degree in Business Administration from the American University of Beirut. Head of International Relations and Maintenance Services in Lebanese Ministry of Telecommunications (LMoT). Responsible on all International Contracts, agreements, MoU in LMoT. Responsible on the preparation for all International conferences and events related to LMoT and the recommendations issued from these events. Read Andrew’s full biography here. As CHRD & LD Director in the financial and IT sector, Ingrid coached leaders and high potentials from various cultures, gaining a multi-cultural perspective on Talent Agility & Leadership Effectiveness. Her biggest passion is to support women in reaching key positions, via Polaris (www.polaris-net), a female network that helps women advance towards positions with impact, via ‘Ignite’ focusing on diversity & inclusion consulting and as executive & talent coach.